After a few days at Blossom Camp, my daughter, who was 9 then, said, 'Mommy, I have never felt so comfortable being myself.' She had never said that before. Maria taught me basic breathing techniques that have helped me sleep better and feel more relaxed throughout the day. I have a hectic job, but it's refreshing to be more aware now, even about simple joys like bird song in the morning. Don't pass up this guided meditation! I recently was blessed to participate in a guided meditation session with Maria and am so thankful to have had the opportunity. Her calming presence, tranquil spirit, and vivid imagery helped me easily step aside from everything going on in my day and be completely present in and focused on the moment. 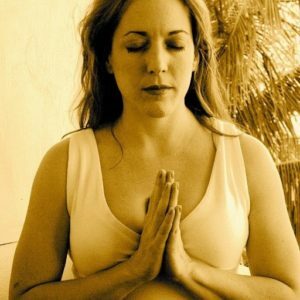 Maria is gifted with an extra measure of intuitiveness, which enables her to craft meditations that are a perfect fit for those receiving them, and her careful instruction makes it easy for even beginners to center themselves and restore their groundedness. I came away from the session lighter, refreshed, and with a greater sense of focus on what is truly most important. If you have the opportunity to work with Maria, definitely don’t pass it up! I’d love to take another blogging workshop with Maria De Los Angeles! Her teachings are fresh and forward, so students can find their gifts and thrive.